Student should be punctual and regular to the school and complete the given assignments by the teachers. Wear proper and neat uniform to the school. Get complete set of books daily according to daily class time-table. There is no re-exam under any circumstances. 75% of attendance is mandatory. Don’t bring costly items, electronic gadgets, watches, mobiles phones, cameras, jewelery etc. to the school. School will not bear any responsibility if lost. Submit leave letter when you want to avail leave to the class teacher. More than three days leave must be approved by the Principal. Any student absent to the school for more than one week without permission will be considered as left the school and the name shall be struck off from the school records. Protect the school property. If any damage is done to the school property willfully he will have to bear the cost of the item damaged. Use polite language while communicating with classmates and anyone in the school. Usage of abusive or foul language, shouting, whistling, cat calling, booing etc. will not be tolerated and invites stringent punishment. Bullying and teasing is strictly prohibited. If any student is involved will be under observation and necessary action will be taken against them. In severe cases they will be expelled from the school. Move in lines in verandas and corridors while going to outdoor activities and labs etc. Wear student ID card all the time at school. Carry school diary/academic planner at all times. Take initiative to participate in academic and co-curricular activities. Must communicate only in English during school hours except in language classes. Students suffering from contagious disease cannot be permitted to attend the school. You are responsible for your own books and other articles you bring to the school. You should respect each other, besides those in authority. Students are not allowed to use the school telephone without the permission of the Principal. They will not be called during the class hours. Students should get their progress reports signed by their parents / guardian within three days of their receipt. Students are strictly forbidden to enter staff rooms without permission. Strictly forbidden to introduce objectionable books, newspapers and periodicals into the school. No transfer certificate or any other certificates will be issued to the students who are in arrears of fees nor will they be permitted to write the examinations. Use or possession of tobacco, intoxicants or any kind of harmful drugs is strictly forbidden. Junk food is not allowed inside the campus. Chewing or eating junk food inside the class room is strictly prohibited. 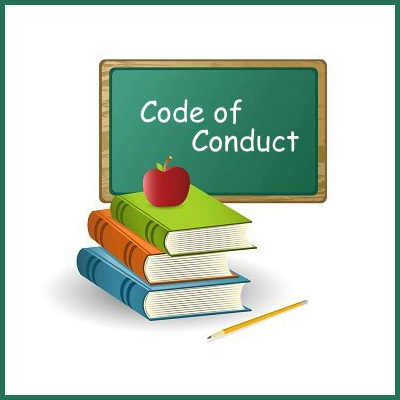 Any deviation from the acceptable norms and discipline, and moral behaviour, may attract disciplinary measures such as warnings, suspension, and in extreme cases, expulsion from the school. If any student is expelled from the school by removing his or her name from the register, the entire fee paid during that academic year shall be forfeited, irrespective of the date of such expulsion. Uphold the reputation of the school on the journey to and from school and on school campus.